Screenplay: Grapes of Wrath - Coming Soon! Men like my father cannot die. They are with me still -- real in memory as they were in flesh, loving and beloved forever. How green was my valley then. My favorite film director is John Ford. My interest in history, and in particular military history, stemmed from watching John Ford movies. As a young teenager, I sat enthralled in front of the small black-and-white tv in our living room, watching fascinating old films. I remember seeing John Ford’s cavalry classic, Rio Grande, one afternoon and thought how beautifully this film was told and photographed. This film is like no other in its classic beauty and its depiction of America’s mythic past. I remember at the end wanting to note who the director was. It said it was directed by John Ford. Thus began a lifelong interest in the man and his films. During my career as the Director of the Presidio Army Museum in San Francisco, I came in contact with a number of soldiers of World War II who were the subject of John Ford films and documentaries. I remember visiting a retired colonel, John Eifler, in 1984, and hanging in his den was an autographed picture of Admiral John Ford. I moved closer and read the inscription: “To Colonel John Eifler, with much admiration,” signed John Ford. It was a photograph of Ford in his World War II captain’s uniform, and it was dated during the war. Colonel Eifler told me that Ford had made a documentary on his famous commando operation in Burma, OSS Detachment 101. I also had the honor to become friends with General Ray Peers, who was the second commander of OSS Detachment 101, and who was also in Ford’s documentary. Ford had presented General Peers with a large album with photographs he had taken of combat operations in Burma during the war. This formed the basis for an exhibit I created in 1985 honoring OSS Detachment 101. Here is a link to an article on General Peers and OSS Detachment 101. 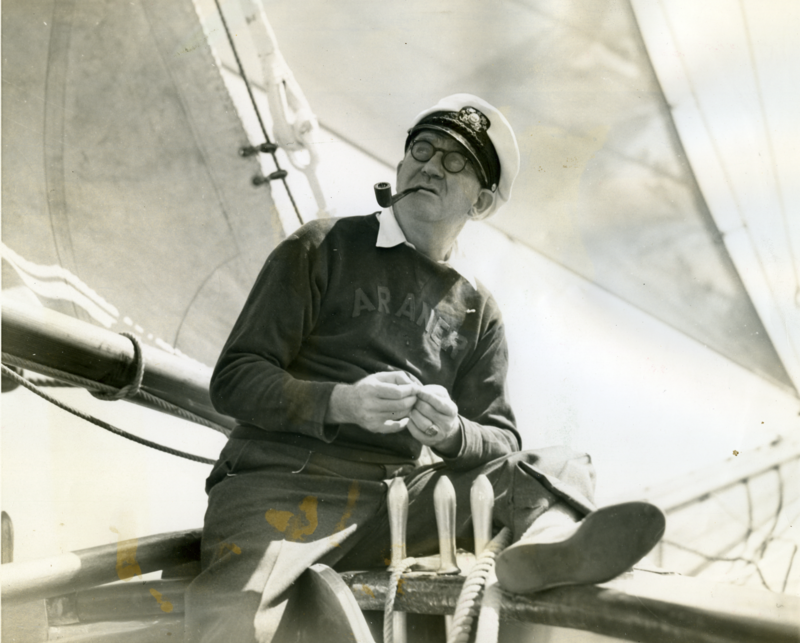 John Ford (February 1, 1894 - August 31, 1973) was, in my opinion, among our greatest film directors. Among my favorite films of John Ford are: Stagecoach (1939), The Grapes of Wrath (1940), How Green Was My Valley (1941), My Darling Clementine (1946), Fort Apache (1949), The Quiet Man (1952), The Searchers (1956), and The Man Who Shot Liberty Valence (1962). Ford made films for more than 50 years and directed more than 140 films. He received four Academy Awards for Best Director, in 1935 (The Informer), 1940 (The Grapes of Wrath), 1941 (How Green Was My Valley), and 1952 (The Quiet Man). As a young teenager in the early 60’s, I remember taking a bus to Hollywood and visiting Larry Edmunds Bookshop on Hollywood Blvd. I would spend my precious allowance, or money from washing cars, on movie memorabilia from John Ford films. In those days, stills were $2-3 apiece for some of the great classics. Occasionally, I would come into some extra money and would buy a lobby card or two, a poster half sheet, and even on a rare occasion a full poster. These are among my most treasured possessions, several of which I gaze at even as I write this. I will be posting the screenplays for all of the films for which John Ford received the Best Director or Best Picture Academy Award. Along with them, I will be posting movie stills, including scenes from the film and portraits of John Ford. This is my personal tribute to the great man. I hope you enjoy the website as I post new material and parts of my collection here. Thanks for visiting. I look forward to your comments.